For many travelers the thought of intentionally going to a desert isn’t high on their list of places to see, and that is certainly their loss. 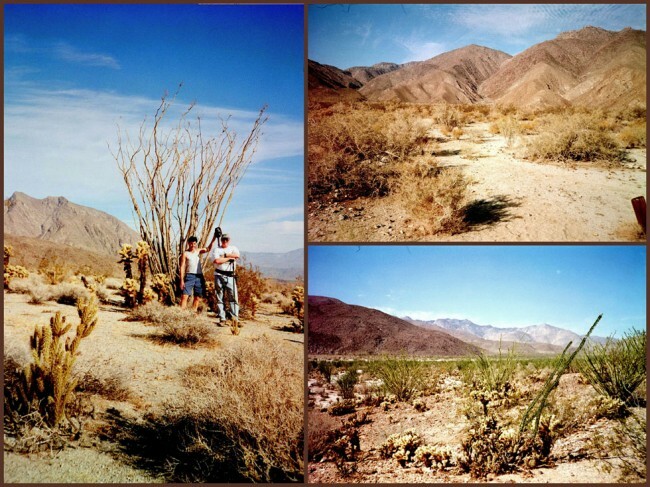 I’ve had the pleasure of visiting several desert areas in the Southwest, and one of my favorites is in southern California. It’s the largest park in the state, and one of the largest in the nation. At over 600,000 acres, it’s truly a wonder to behold. Sorry about the not-too-great images, they’re taken off of scanned photos, pre-digital camera era. Still, I thought the area worth sharing. The park is named for the Spanish explorer, Juan Bautista de Anza (1774) and the bighorn sheep (borrego, Spanish term for sheep). 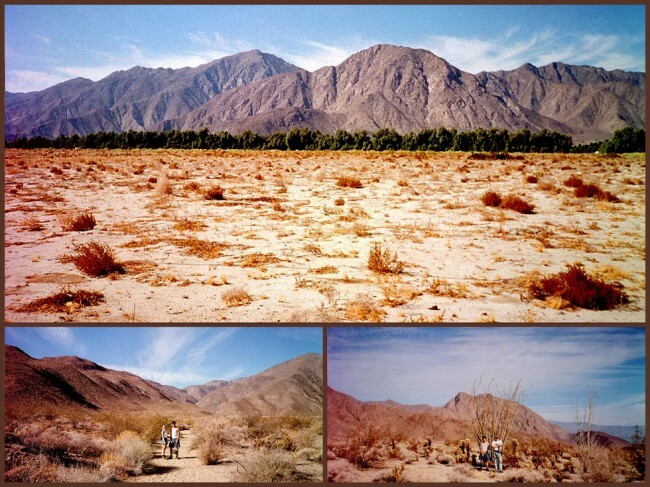 This vast area lies just to the south of Joshua Tree National Park. Within this park lies some of the most desolate and bleak terrain to found anywhere. 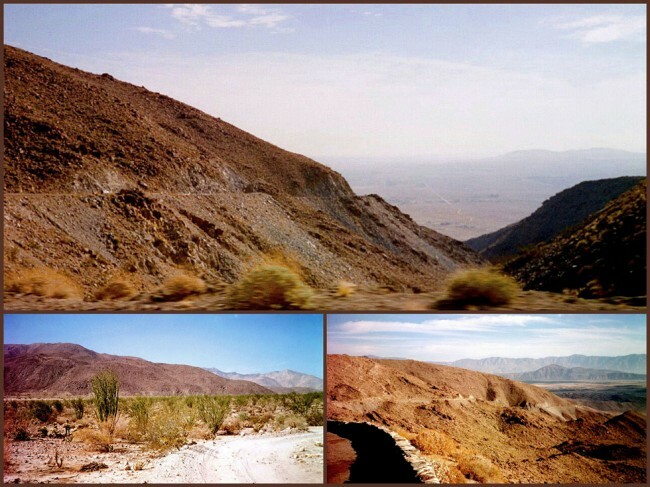 Even so, the dedicated explorer will be rewarded with spectacular desert scenery, fan palms swaying in the oven-hot breezes, canyons, mountains and assorted plants. In the springtime the desert floor comes to life in a kaleidoscope of various colors, accentuated by sand verbena and dune primrose. If while hiking you feel the earth move, it may be a tremor from the nearby San Andreas Fault, which lies only ten miles away.